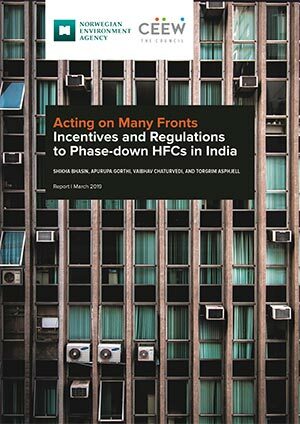 The air-conditioning service sector in India plays an extremely important role in the upcoming phase-down of hydrofluorocarbons (HFCs) in the country. 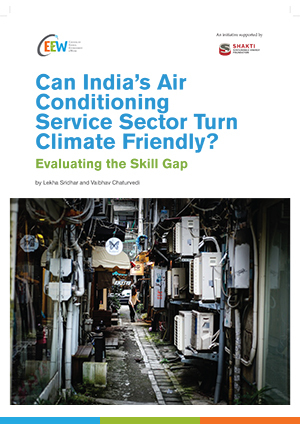 This study examines the present state of the AC service sector in India and assesses the level of skill and knowledge of the technicians about Good Service Practices (GSPs) to reduce refrigerant leakages. Based on a primary survey of 642 technicians in the residential, mobile, and commercial air-conditioning sectors (known as the RAC, MAC and CAC sectors, respectively) in New Delhi, Jaipur, and Madurai, it aims to address the growing skill gap in the sector. With the adoption of the Kigali Amendment to the Montreal Protocol on Substances that Deplete the Ozone Layer in October 2016, hydrofluorocarbons (HFCs) will have to be phased down from all sectors in India from 2028 onwards. At the same time, the air-conditioning sector in India is expected to grow massively in the coming years. 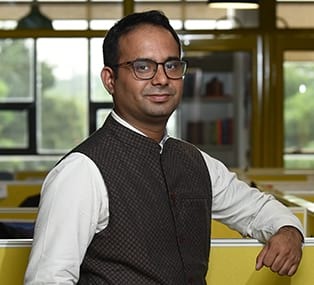 The cumulative global warming impact of HFC emissions on India’s total carbon dioxide and HFC emissions between 2015 and 2050 is estimated to be 3.9 per cent in a business-as-usual scenario. The AC service sector is estimated to account for as much as 40 per cent of all refrigerant consumption in the country. Reducing demand from this sector by increasing adherence to GSPs—that is, servicing and installation practices that are vital for the safe, reliable, and climate-friendly operation of the system—is key to addressing the issue of cutting HFC emissions. 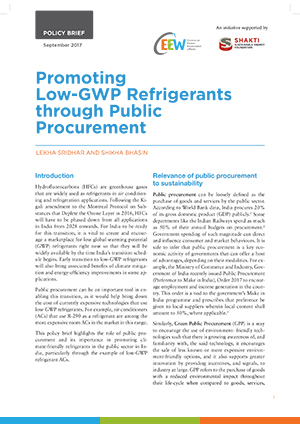 The AC service sector is estimated to account for as much as 40 per cent of all refrigerant consumption in India. Around 36 per cent of all respondents across all sectors reported having received AC-specific training. More than half the technicians in the formal sector in all three sectors had received AC training, while only about a quarter of the technicians in the informal sector had received AC training. Around 10 per cent of RAC and 16 per cent of CAC technicians who have received servicing training are not adhering to GSPs. Across all three sectors, more formal enterprises own recovery equipment than informal enterprises, with the most prominent disparity being observed in the MAC sector. The number of technicians who have reported that they recover refrigerant during servicing are considerably less than those who own recovery units, suggesting that the lack of equipment may not be the sole reason for not recovering refrigerants. Other factors like the time required or the relative effort required for recovery could also be acting as disincentives. Respondents perceived customer awareness of GSPs to be low, in addition to customers displaying price sensitivity and demanding or requiring short turnaround time for servicing. Knowledge about the environmental impacts of refrigerants, new alternative refrigerants, and practices like reclamation was low among the respondents across all sectors. However, more than half the respondents were aware of the energy efficiency gains emanating from GSPs, flammability concerns associated with some refrigerants, and recycling of refrigerants. In all three sectors, regression analysis showed that a technician with AC servicing training was more likely to have good knowledge about GSPs and related information. Other factors like customer knowledge and ownership of tools had limited impact. Some GSPs like leak testing of ACs were universally followed whereas other practices like recovery were followed by less than half the respondents. While the formal sector showed greater adherence to some of the practices, the overall performance of the formal sector was not significantly ahead of the performance of the informal sector, despite greater access to training and equipment. Standardise training and ensure that AC training programmes across the country meet minimum criteria. Raise awareness about GSPs and proper servicing techniques, especially among customers. Manufacturers could also raise awareness of proper installation and servicing practices when customers purchase ACs/cars and highlight the possibility of increased electricity/fuel consumption due to faulty installation/servicing. Incentivise customers to use service centres that adhere to GSPs by including servicing costs in the price of the AC or by offering the same at discounted rates. Nudge manufacturing companies to conduct regular training and re-training sessions for their employees to ensure that their skills remain up to date.